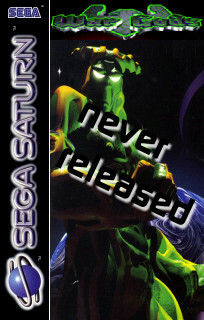 I'm afraid I don't recall Wargods ever being developed for the Saturn. Eurocom was given the Nintendo 64 and PC versions to convert from the original arcade machine, which was in mid-development at the time. Midway were handling the Playstation version. I have my doubts of Wargods being converted to the Saturn as it used a very high polygon count for the time (around 5,000 polys @ 60fps, 300000 poly/sec). This was OK for the PS1/N64, but the Saturn hardware favoured quality rather than quantity and it would not have been able to run the game at a playable frame rate. The models could not be reduced to solve this as the animations were all based on vertex animation.